Old-fashioned walkie-talkie baby monitors just got a technological makeover with the advent of the Owlet. 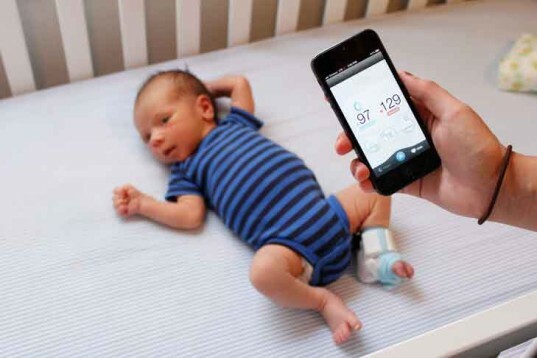 The device is a wireless sock-like gadget that keeps track of your child’s health via a smartphone application. Instead of having to guess what each cry or sigh may mean, the Owlet takes a bit of the uncertainty out of keeping tabs of an infant’s safety. Able to observe heart rate, oxygen, body temperature, sleep cycle, and sleep position via rollover alerts, the invention could help to prevent SIDS and alert parents to potential health problems. The Owlet was developed by a student team at Brigham Young University and won the group the Student Innovator of the Year award at BYU. The “smart-sock” is compatible with both Android and iOS operating platforms, and can be used with tablets, phones, and computers. Information is sent via Bluetooth to mobile devices, and is meant to be used primarily when the baby is asleep. The sock itself can be adjusted to fit a variety of foot sizes and is powered by a set of rechargeable batteries. The Owlet has been tested in 30 different homes for over 200 hours, demonstrating its accuracy. The electronic components are encased in silicone and removable, making the Owlet machine washable. The Owlet has surpassed its crowdfunding goal, and should be available for shipment this November. The sock currently retails for $159. Old-fashioned walkie-talkie baby monitors just got a technological makeover with the advent of the Owlet. 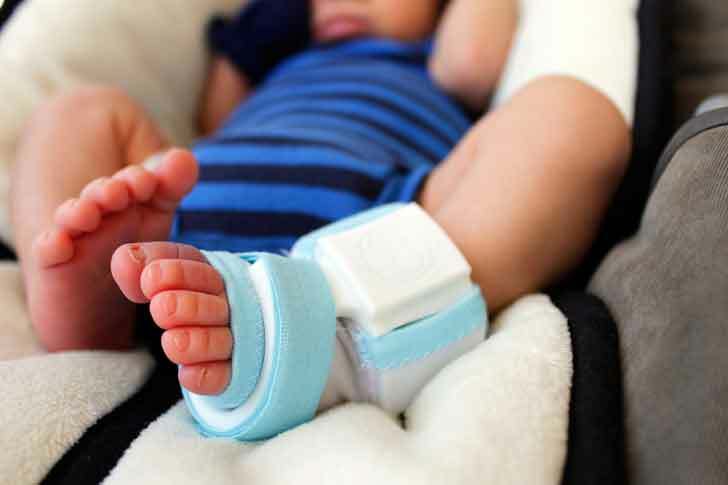 The device is a wireless sock-like gadget that keeps track of your child's health via a smartphone application. Instead of having to guess what each cry or sigh may mean, the Owlet takes a bit of the uncertainty out of keeping tabs of an infant's safety. Able to observe heart rate, oxygen, body temperature, sleep cycle, and sleep position via rollover alerts, the invention could help to prevent SIDS and alert parents to potential health problems.